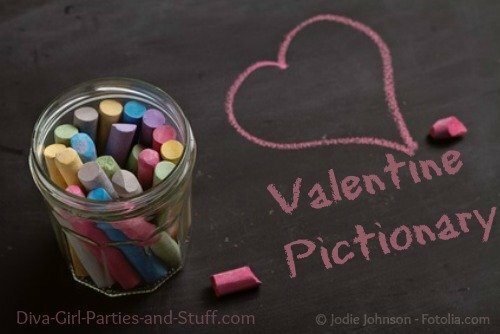 One of the things I loved most about Valentine’s Day, and my children, was having a Valentine’s Day classroom party! The classroom parties were always a lot fun. We had some sweet and healthy treats and played a lot of fun games. Playing games during the classroom party is a fun activity. Most games for a classroom party don’t have to require purchasing anything for them. All the supplies can be found within your home or the classroom. 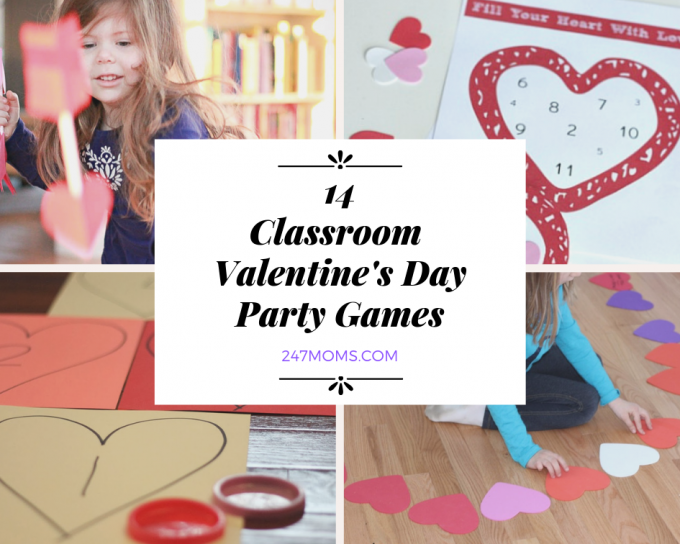 Check out these 15 Valentine’s Day classroom party games for the kids! There are also rules for each of the games, but if you need to change the rules to fit the age of the kids or size of the groups, go ahead! You can come up with your own unique rules too if you want. These five games are a great addition to the games you play within the classroom party. The games included are heart stack, candy corn stick up, candy pick up, marshmallow toss, and heart relay. 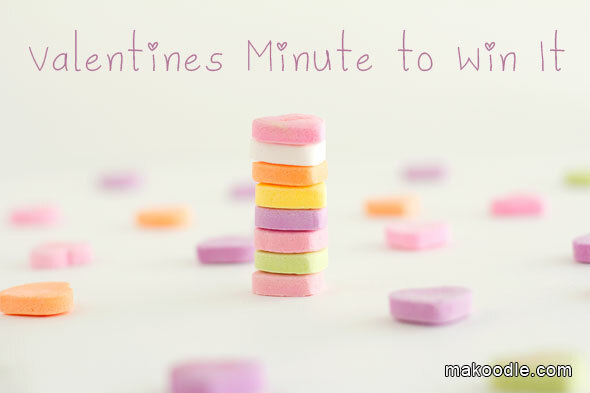 All you will need is some candy and a few seconds to set up time. This is your average game of Pictionary but using themed words from Valentine’s Day. There are words included for both older or younger children. Cute hearts in half and give each kid one at the beginning of the party and then they can find the child who has the matching half of their heart. If you have a large group, you can check the variation where you can turn this game into a team game. 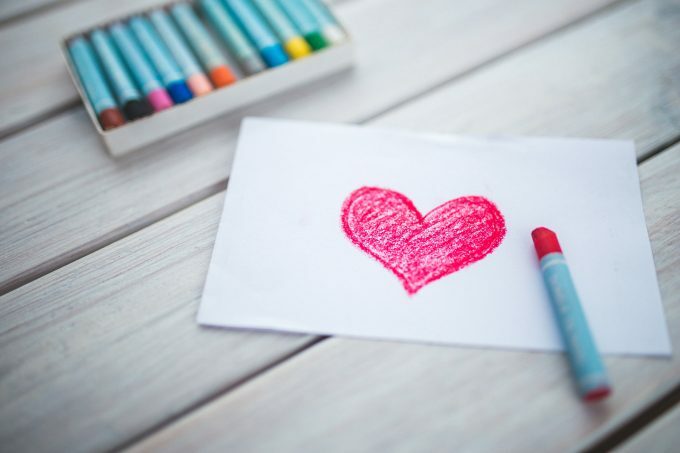 Coloring is a great and easy activity to do during your classroom party for Valentines! You can print out free coloring pages. Send the coloring pages home with the kids to give to their family and friends. 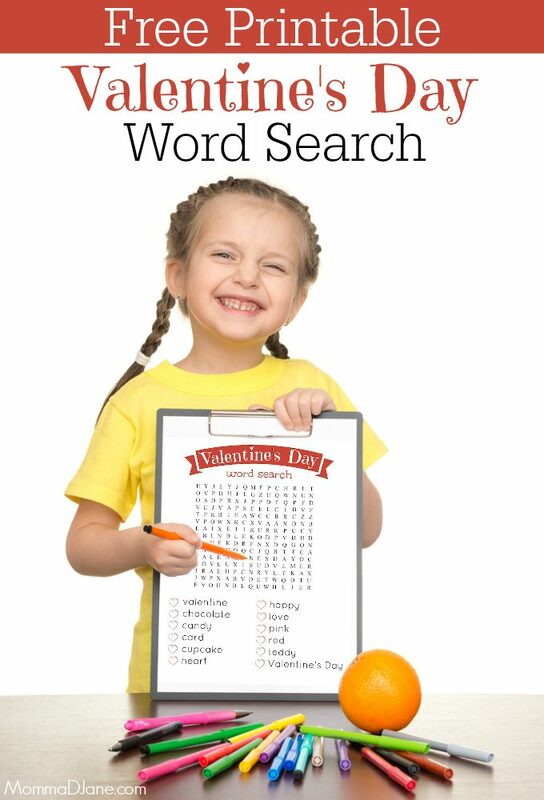 These valentines themed word searches can make a classroom party game fun for all ages of kids. They are also great spelling and problem solving worksheets. The kids won’t even realize they are learning while they are having so much fun! 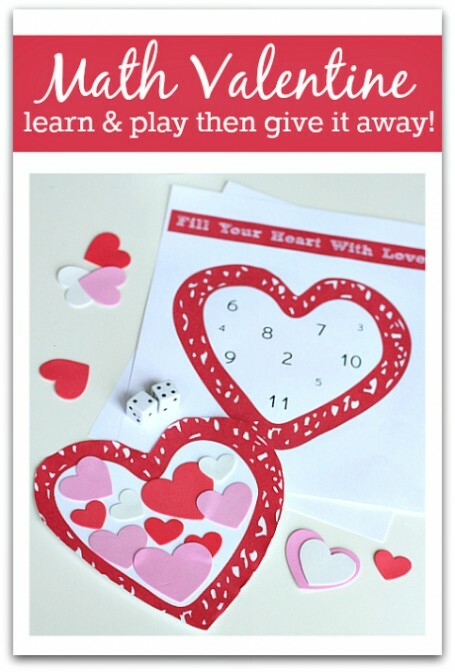 This counting Valentine game is great way for kids to have number counting practice, number identification, and more. 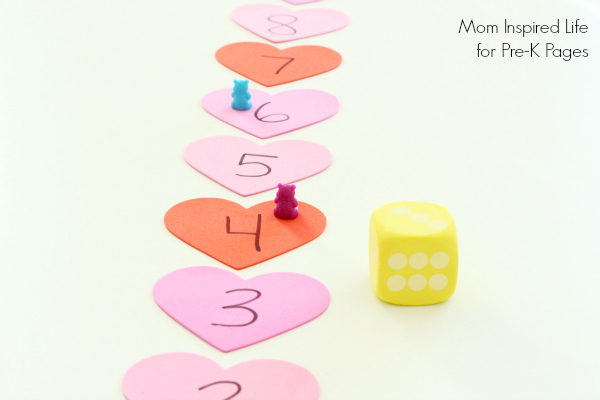 The kids will roll the cube, identify the number by the dots on the die, and then move their game piece that many hearts on the number line. You can ask the kids to identify the number their game piece landed on. Continue the game until the first person gets to the end of the number line. 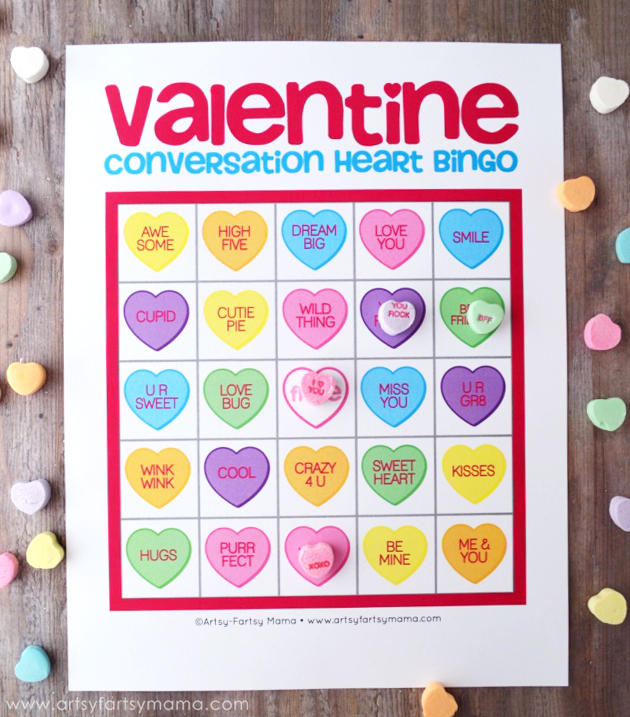 Play your traditional bingo card game with conversation hearts. 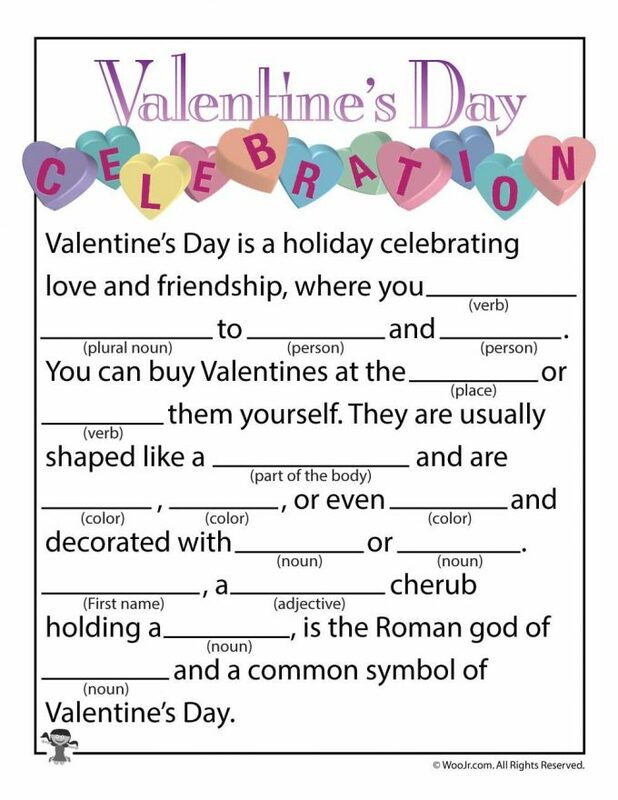 Every kid loves creating silly stories, that’s why these valentine mad libs are perfect for a classroom party. Kids can work together in pairs and share their silly stories with everyone when finished. 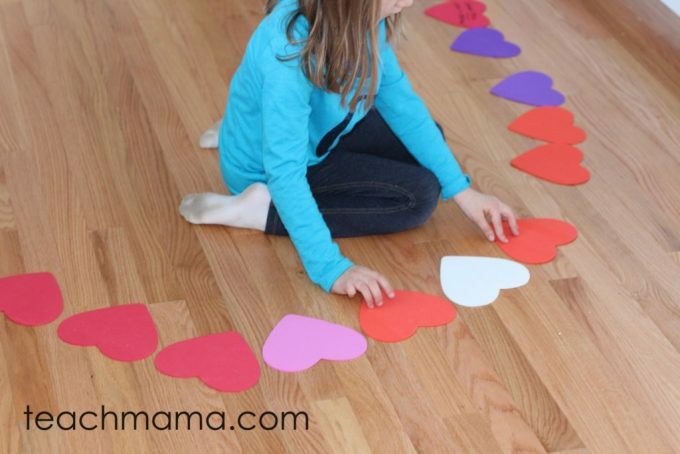 Cut out hearts of different colors of paper and scatter them around the room. 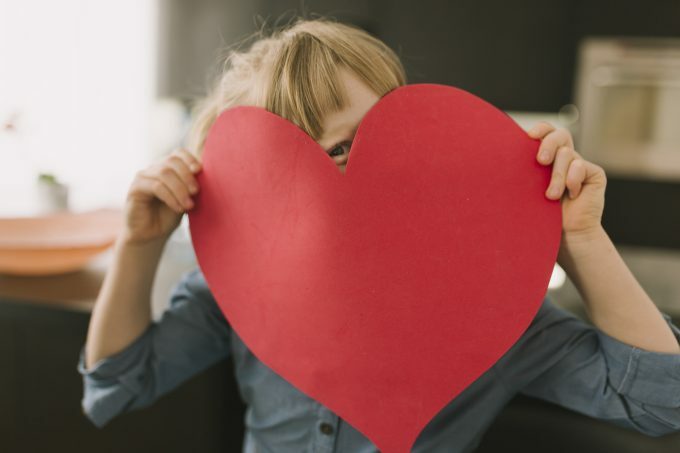 Give kids a set amount of time to find the hearts. Count how many each color they can find. 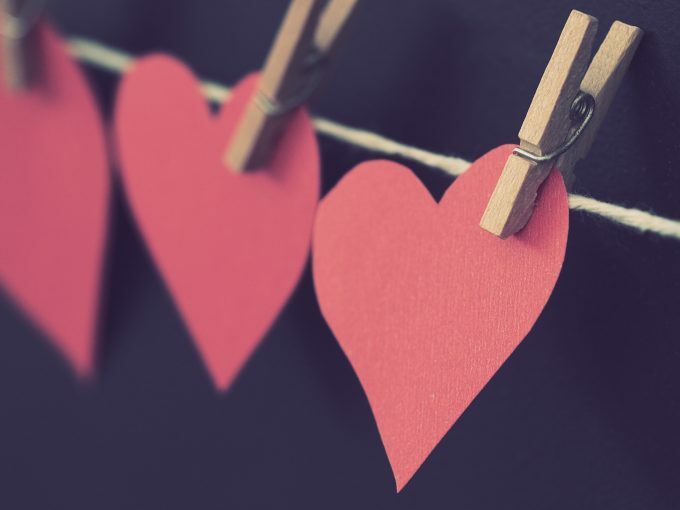 For older kids, you can assign different a different number of points for different colored hearts. This game is perfect for all ages. It incorporates practicing numbers and hand eye coordination. For older kids, you can blindfold them for some extra fun! 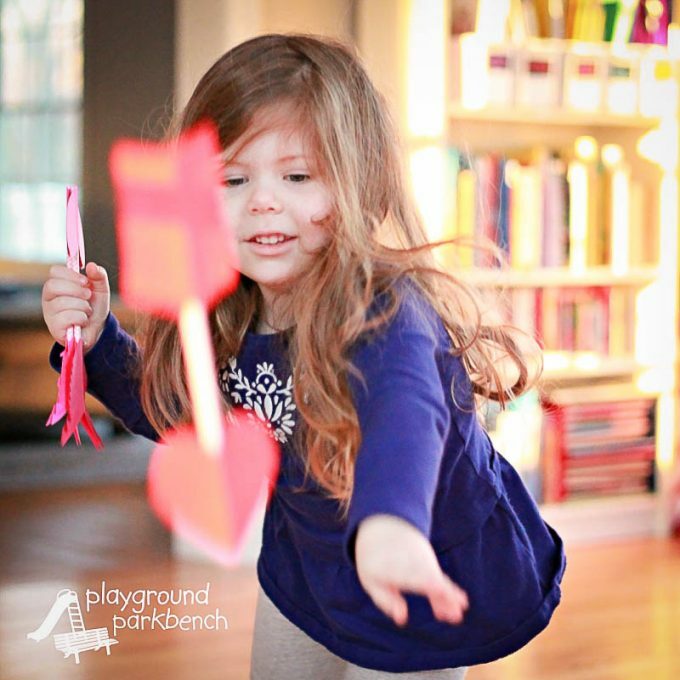 Get the kids moving to music with this fun and easy Musical Hearts game. All you need is colored cardstock, markers, painters tape, and some lids. Perfect for a fun and classic game. 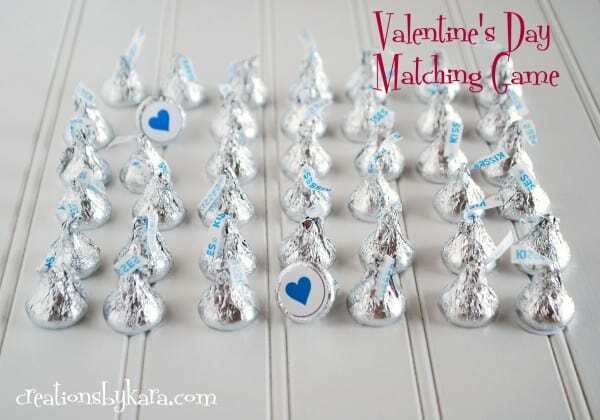 Use these free dot printables on the bottom of Hershey kisses for a fun matching game for all ages. 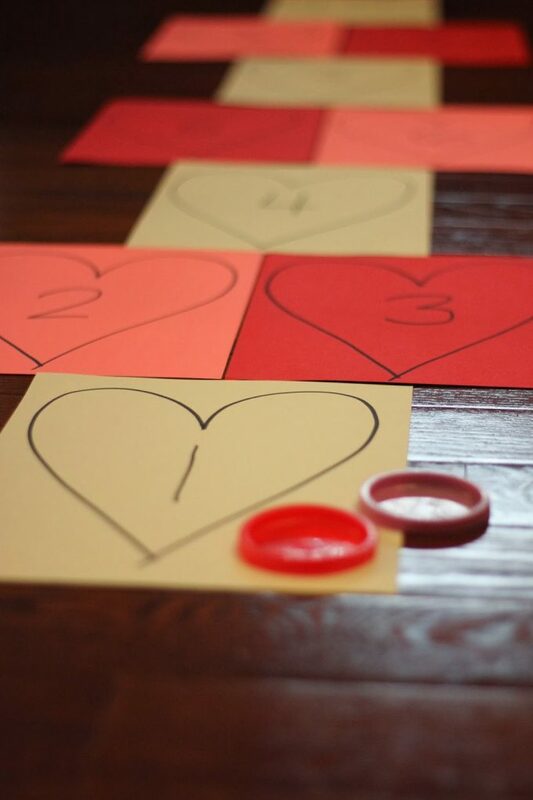 Play a fun math activity for Valentine’s Day. The kids then can give away their finished piece to either family or friends.